The 2015 winner of the DAN / Rolex Diver of the Year Award – one of the most prestigious honours in scuba diving – has just been announced by Divers Alert Network. For the last quarter of a century DAN has partnered with Rolex to acknowledge excellence in diving and dive safety. This year the prolific work that Associate Professor Simon J Mitchell has done, has been recognised. This award is given to “an individual who has made significant contributions to dive safety and / or the DAN mission over the past year.” Without a doubt, Simon Mitchell fulfills this criteria. I first met Dr Mitchell in 2008 when I co-organised the inaugural EUROTEK. During the run up to the event, the late Carl Spencer praised a diving doctor he had heard speak at OZTek. Carl was keen that this hyperbaric expert should also present at our international advanced and technical diving conference. At this time Simon Mitchell’s name was not that well known by northern hemisphere advanced and technical divers. The diving forums went wild post EUROTEK.08. The northern hemisphere divers loved and appreciated the fact that Simon Mitchell didn’t dumb down decompression theory. Instead he took time to carefully explain quite complex information to them, in a non-patronising manner, communicating it in such a way that everyone in the audience left having learnt something useful. Dr Simon Mitchell is a physician with specialist training in anaesthesiology and diving medicine. He is the Head of the Department of Anaesthesiology at the University of Auckland in New Zealand and divides his time between the operating theatre, teaching, research and lecturing around the world. Simon holds a medical degree, Diplomas in Occupational Medicine and Diving Medicine, and a PhD in medicine. He is board certified in anesthesiology and hyperbaric medicine. 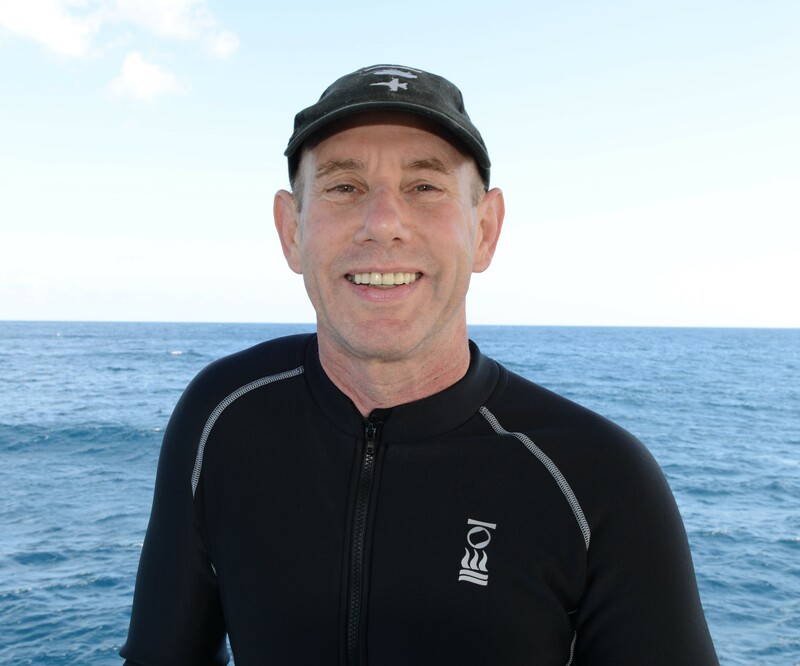 The DAN / Rolex Diver of the Year Award is given to “an outstanding individual who has devoted their career to making diving safer for all of us.” Simon Mitchell has authored or co-authored 104 publications including books, text book chapters, scientific journal articles and papers, and workshop proceedings. He sits on three editorial boards (Journal for Extracorporeal Technology, Undersea and Hyperbaric Medicine, and Diving and Hyperbaric Medicine) and is on the Medical Advisory Board for DAN South-east Asia / Pacific and the DAN USA Research Committee. Since 2008, I have worked with Dr Mitchell on a number of international events. He has spoken at every EUROTEK; 2008, 2010, 2012, 2014 and he is slated again for 2016. He also talks and lectures throughout the world at many medical and diving conferences and events. He says (when asked) that he loves talking to divers because they are an involved hungry curious audience that absorbs information. In May 2012 Simon Mitchell beautifully accomplished what many of us on the Rebreather Forum 3 organising team thought to be an unenviable and challenging job, and made it look simple. 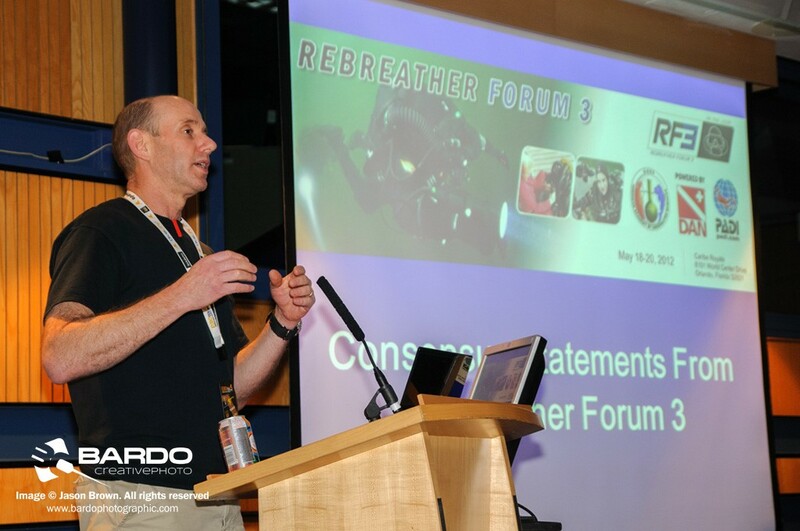 Simon chaired the final two-hour session at Rebreather Forum 3, the purpose of which was to forge an agreement for consensus recommendations of the meeting. (This three-day safety symposium was hosted and driven by the AAUS, DAN and PADI). The DAN / Rolex Diver Award is given to “a diver who actively promotes and supports DAN’s mission and dedication to incident prevention, management and protection.” Evidence of this was confirmed by a paper entitled ‘The five minute prebreathe in evaluating carbon dioxide absorption in a closed-circuit rebreather: a randomized single-blind study’ published in Diving and Hyperbaric Medicine, for which Dr Mitchell was the senior author. He worked with colleagues from various key institutions including Duke University. This research had been inspired by the rebreather community. This is a ‘hungry for knowledge’ community, and this thirst is partially driven by technology. Equipment continues develop and evolve allowing deeper and / or longer dives to be conducted that just a few years ago we used to consider improbable. At the turn of the century 100 metre / 300 foot technical dives were considered cutting edge. Today these kinds of depths are the norm for many divers. It is of little surprise therefore that extreme divers and explorers are asking quite challenging physiology questions. In 2014 Simon Mitchell therefore set out to answer a controversial topic – just how effective is the five minute pre-breathe that all rebreather divers undertake prior to entering the water? A minimum pre-breathe period of five minutes is usually prescribed, on the basis this timeframe allows the diver to recognise elevated carbon dioxide levels in the scrubber, ie shortness of breath. Simon, along with Dr Neal W Pollock, devised a research study to confirm whether the five minute prebreathe is an appropriate sensitive test and does reveal CO2 scrubber problems, or whether it is actually a waste of time. Simon shared this key research with the recreational and technical diving community, presenting it at EUROTEK.2014 and OZTEK.2015. Simon’s current research interests include the pathophysiology and treatment of decompression illness and, in particular, the pathophysiology of inner ear decompression illness. He is also interested in the incorporation of CO2 monitoring in closed circuit rebreathers, and the use of checklists to improve safety in the operating room and during diving. Simon not only talks diving, he an avid technical diver. He began diving in 1972 and he is still an active current diver today, usually diving a closed-circuit rebreather. He has completed over 6000 recreational, scientific, military, and occupational dives and regularly uses rebreather technology to facilitate the exploration of shipwrecks and deep reefs. Simon’s notable underwater achievements include helping to positively identify the SS Cumberland and working with Pete Mesley to identify and then recover the Port Kembla ships bell. He was also part of a team that helped confirm that the wreck of hospital ship AHS Centaur was mis-identified, and is often the diver medic on extreme remote rebreather and technical diving expeditions to Truk and Bikini Atoll. Dr Simon Mitchell will receive his award at the 2015 Beneath the Sea Dive Show in Secaucus, New Jersey, where he will be presented with an Oyster Perpetual Rolex Dive Watch and a commemorative wall plaque. In addition, Rolex will donate $15,000 to DAN to support essential safety initiatives such as medical research, safety education and first aid training. Previous PostPrevious Become a PADI Rebreather Instructor!